If you are under the age of 40 and looking for direction on how and when to save your money, ask yourself this important question: “What’s my ‘potential income’?” Knowing that answer can lighten future financial worries, so you can escape the work world when you want and enjoy your healthy, golden years. So, what is “potential income”? It is the sum of income realized today and the income that will be generated in the future from your personal net worth (that is, assets minus liabilities). When you take into account the “annuitized value” of your future net worth, you can better assess your potential retirement income. You’ll also be better able to choose an “order of investing” that will deliver that income from your net worth — that is, you’ll be able to invest any new money in investment accounts in the order in which it will create the best after-tax results now and in the future. (Knowledge Bureau Report, Aug. 15.) For example, what should come first: a home, a Tax-Free Savings Account (TFSA) or a Registered Retirement Savings Account (RRSP)? It’s a common question because TFSAs and RRSPs are important sources of potential income; one is tax exempt later, the other is tax preferred now. Investing more dollars in ways that protect them from tax erosion and keeping those dollars invested longer in tax-efficient accounts such as RRSPs and TFSAs is a winning recipe, especially when home ownership is included in your potential income. The equity in your home can significantly enhance your retirement fortunes, according to Statistics Canada’s research paper, Income Adequacy in Retirement: Accounting for the Annuitized Value of Wealth in Canada. For example, the paper shows, the mean before-tax income per adult in households headed by seniors aged 65 to 74 is 75% of the income of households headed by those 45 to 64. However, when the wealth in the home is considered, income replacement potential increases to 88% of working income. More important, when these numbers are calculated after taxes, your income replacement potential increases to 105%. You’ll actually be wealthier in retirement because of the contributions from the tax-exempt gains accruing in your principal residence. An RRSP investment can help because its Home Buyers’ Plan allows you to withdraw up to $25,000 in a calendar year from your RRSPs to buy or build a qualifying home. However, don’t ruin your potential income by paying too much interest on “too much home.” Mortgage interest costs are non-deductible and, if you pay off your mortgage over a long period of time, can erode your equity. It’s Your Money. Your Life. Buying a home you can afford and paying down your mortgage quickly is an important cornerstone of a sound retirement income plan. Together with tax-efficient financial assets and a healthy net worth — more assets than liabilities — your wealth will grow exponentially, building sound income potential in retirement. Evelyn Jacks is president of Knowledge Bureau, best-selling author of close to 50 tax- and wealth-planning books and keynote speaker at the Distinguished Advisor Conference in Naples, Florida, Nov. 11 to 14. With Canada’s economic growth a modest 2% and inflation about 2%, it is hard to grow new wealth in today’s fragile world. One sure solution is keeping firm control of the costs that will erode your wealth. That means monitoring investment fees and limiting the amount of income taxes you pay, two things in an otherwise unpredictable environment that you can control. Let’s talk about tax efficiencies first. Consider investing any new money in the order in which it will most boost your after-tax results, choosing the biggest booster first. For example, a contribution to an RRSP would take precedence over a contribution to a Tax-Free Savings Plan (TSFA). If you have taxable income, are age eligible and have RRSP contribution room, the RRSP will provide a win for you because of the tax savings it generates. Thanks to your ability to deduct the amount of your RRSP contribution from your taxable income, you will pay less income taxes — and generate extra dollars for investing — by the amount of your marginal tax rate. For example, if you are in a 30% marginal tax bracket, every $1,000 invested in the RRSP takes $300 off your income taxes. If you don’t have RRSP contribution room or don’t qualify to contribute to an RRSP, a TFSA is the next best choice because income earned in your TSFA account is not subject to taxes. However, TFSA contributions are not tax deductible the way RRSP contributions are and they are limited to $5,000 annually. You also need to be a resident of Canada to contribute. But, if you have available TFSA room, a TSFA is a great place to park savings and earn tax-free investment income. What’s next in your tax-efficient investing plan, once you have topped up your RRSP and TFSA opportunities? Now, you should consider non-registered accounts and the tax implications of various types of investment returns. How much of your non-registered portfolio should be generating interest, dividends or capital gains to get the after-tax results you need? Given recent public pension reforms, you should also consider how long you intend to work. If you work past the age of 60, you can increase future income by continuing to contribute to the Canada Pension Plan. By July 2013, you’ll also be able to postpone taking your Old Age Security for up to five years, thereby increasing pension benefits later. These are important opportunities that should be carefully considered when you are planning your retirement. Let’s turn now to the fees you pay for having your money managed. How much do you pay each year to invest your money? Should you pay an investment-management fee based on a percentage of your capital, or a cost per transaction? Are there savings to be had? Depending on how much money you have invested, you can sometimes negotiate lower investment-management fees. And investment-management fees are tax-deductible, unlike the fees changed for mutual funds and transaction costs. Either way, you’ll want to factor in exactly how much more of a return you will need over a defined period of time to offset the fees. Then, weigh the costs of the advice against the value of the advice. If the good advice received and the consistent process for sound decision-making helps you get better results, it will be worth it. It’s Your Money. Your Life. When returns on investments are low and unpredictable, investors must manage risks more closely. The returns needed to cover the effects of inflation, taxes and fees must be part of your planning. Whether you invest on your own or within a collaborative professional team, be sure these factors are considered in constructing — and reconstructing — your investment portfolio. 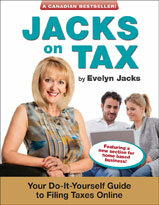 Evelyn Jacks is president of Knowledge Bureau, best-selling author of close to 50 tax- and wealth-planning books and keynote speaker at the Distinguished Advisor Conference in Naples, Florida, Nov 11 to 14. Prospects for global growth have gotten a whole lot cloudier over the summer. The risks to our economic well-being seem to be increasing, not decreasing, as Europe struggles with recession, emerging markets such as China experience decelerating growth, and Canada’s growth stalls at 2%. The time has come to think about how you are going to manage the accumulating risks — and for many of us risk management means debt management. Certainly, Canadians are between the metaphorical rock and a hard place. With 2% economic growth and 2% inflation — the Bank of Canada notes in its July Monetary Policy Report (MPR) it expects core inflation to sit around 2% for the next few years — investors aren’t likely get much in the way of returns that beat inflation. And Canadians have been piling on the debt. The debt-to-income ratio of Canadians is at an all-time high of 153%, according to June 2012 reports from the Bank of Canada. Much of that debt is priced significantly higher than 2%, indicating growth in debt is likely to outpace growth in personal income. • On the upside, the Bank says, higher global inflationary pressures, stronger Canadian exports and stronger momentum in Canadian household spending could push inflation higher. • On the downside, the European crisis, weaker global momentum and weakening growth in Canadian household spending could push inflation lower. It all points to managing risk — and managing debt. Consider mortgages. It’s not a bad idea to move upmarket to a better home if you can sell the old house at a tax-exempt profit and get a low-interest rate mortgage on the new place for a long period of time. But it is not such a good idea if you are carrying a variable-rate mortgage. According to the Canada Canadian Association of Accredited Mortgage Professionals, about 30% of Canadian mortgages are at variable rates. That means one-third of Canadians could very well face higher interest rates when they renew. That could boost debt and descimate savings plans. Those who have used low-rate lines of credit or business loans to acquire appreciating assets are in the same boat. Although a low-interest rate environment can be the right time to acquire such assets, what happens to your balance sheet if rates head higher? Consider what would happen to your mortgage payments,loan payments and retirement savings plans if interest rates increased 2%. You need to manage that possibility when you take on big, long-term debt. 1. Should you lock in your variable-rate mortgage now, when interest rates are low? 2. Should you make paying down debt a priority? 3. Should you lock in savings at today’s low interest rates at the expense of paying off debt? It’s Your Money. Your Life. If you have debt, it’s prudent to anticipate your “Plan B” should interest rates rise. It isn’t just the weather — the record-high temperatures, the lack of rain, the surplus of rain — that has made this summer chaotic. The economic environment has played its part, as well. Record-low interest rates, euro zone uncertainty and unusually volatile markets continue to take their toll on Canadians’ accumulated wealth. Yet, since the 2008 start of the financial crisis, some Canadians have fared better than others — those who have stayed true to their investment strategy and made the most of tax-efficient investing. Consider these numbers from Statistics Canada. In 2010, the latest year for which statistics are available, the number of taxfilers reporting investment income (7.5 million) and the amount of investment income they reported ($50 billion) declined. (Investment income is the sum of dividend income from taxable Canadian corporations and interest income from investments in non-tax-sheltered vehicles.) But those with dividend income fared dramatically better than those with only interest income. · The number of savers — those who report interest income — declined 15.3% to slightly less than 3.8million taxfilers. Total interest income reported decreased 24.2% to$6 billion. · Investors, those who report both dividend income and interest income, held their ground, or even showed marginal gains. In this case, 3.7 million investors reported $44 billion in income. Although the number of investors declined by 0.3%, the total dividend and interest income reported increased 0.4%. Clearly, in a low-interest rate environment, if you are counting on interest-bearing investments to provide the bulk of your future income, you’re losing ground — even before the eroding effects of inflation and taxes. Bring taxes into the mix and, again, investors make out better than savers. As the table below demonstrates, dividend income is subject to significantly lower marginal tax rates (MTR), providing an important hedge against inflation. The source of your income, then, makes a difference in how much you keep — and that’s what tax-efficient investing is all about. As the table below shows, depending on the taxpayer’s province of residence, a taxpayer in the middle-income tax bracket pays a MTR anywhere from 29.7% to 36.95% on “ordinary income,” that is, income from employment, pensions and interest. The lowest MTR, however, is on “eligible dividends,” those earned from investments in publicly traded companies and certain large private corporations. Indeed, the difference between the highest and lowest MTR is 30.49 percentage points. You would be further ahead, for example, to earn eligible dividends in British Columbia than interest in Nova Scotia. It’s Your Money. Your Life. Today, the negligible returns on money put into savings accounts are erased by taxes and inflation. Indeed, some will turn negative. Statistics suggest that those who have made even slight headway in building financial wealth have had investment portfolios that contained suitable exposure to equities. Particularly in these uncertain times, you need a strategic plan that will allow you to grow your wealth and manage your risk. Tax and investment professionals can help with that planning as well as help mitigate behavioural responses that can reduce your long-term wealth accumulation.